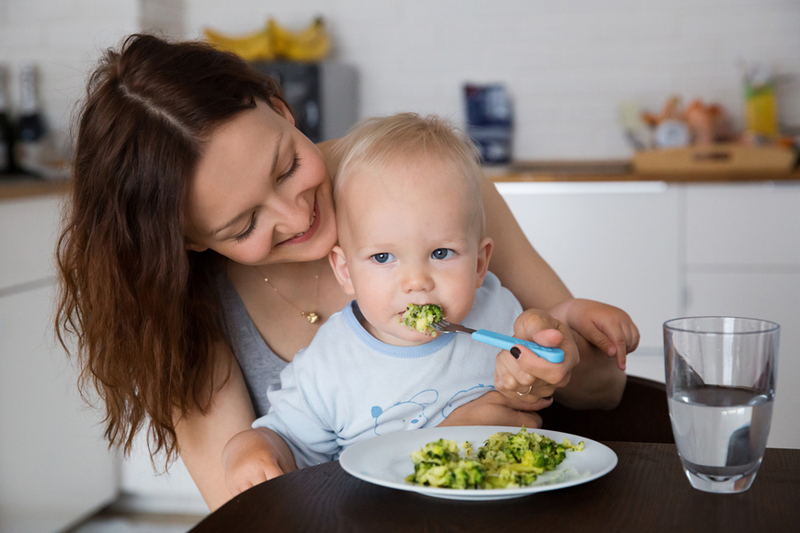 Food – after bedtime — is perhaps the touchiest subject to the parent of a toddler. The majority of tots go through a rough patch in their mealtime. One day, they’ll eat boiled broccoli like a lollipop and the next day, they’re going to ruin the entire meal. Giving your energetic ninja a balanced diet is going to be a daunting task. They have a mind of their own and it's brand new – still unused and a tad bit unreasonable. You might find them throwing away a banana and sucking on a shoe. That’s just their logic. As a parent, your job is to make sure that their eating habits don’t hamper their growth. Your baby needs to consume a sufficient amount of iron-rich foods that accelerate red blood cells. If your tot is low on iron, there’s a chance she’ll also be low in red blood cells — and that can lead to growth deficiencies, learning problems, and behaviour issues. Here’s a quick list of iron-rich foods that should be a regular part of your toddler’s diet. A lot of times, picky eating is just a case of food presentation. kids are fussy about eating meat but wrap it in a bun with cheese and tomato and they'll ask for seconds. Try making your toddler a stew or casserole with soft, well-cooked lean meat as they are rich in iron. A good trick is to mix the meat with pasta, tomato sauce or cheese — they'll never notice the red meat. With about 2–3 mg per half cup, pinto beans, chickpeas, and lentils are all great sources of non-heme (plant-based) iron. But beans don't really enjoy a good reputation in the presentation department so it'll be difficult to make them look delish enough for your fussy eater. Try mixing some colourful veggies like tomatoes to increase iron absorption. "I don't like french fries. "- said no kid ever! Instead of feeding them loads of starch (potatoes), try a healthy spin on this kid-favourite side dish with sweet potato fries. Sweet potatoes have 2.5 mg of iron per half cup. They’re also rich in vitamin C.
Dark green leafy vegetables like kale, broccoli, and spinach are among your best vegetable options for iron intake. Once again, they don't look great on the plate and in a toddler's world - that's a reason enough to ruin the meal. Such times call for creative-mommy skills. Mix these veggies with scrambled eggs or better yet, dip them in chocolate. You can also serve them boiled with mashed potatoes. Finally, something that you don't have to force or bribe for! Peanut butter and jelly sandwiched between fortified whole-wheat bread can help your toddler easily meet their iron needs. Peanut butter mixed with cookies, bread or oatmeal can be a yummy high-iron treat.